RECENT weeks have seen the Murray inquiry into the financial services sector in Australia unearth some ugly truths, as has the Senate inquiry into the CBA. These truths range beyond just the dreadful decade-long history of financial planners steering clients into the clutches of funds managers who have subsequently collapsed, leaving nothing in their wake, like Westpoint, MFS and City Pacific. And even the humungous losses investors suffered at the hands of Storm Financial, CBA's financial planners and those operating under the Financial Wisdom brand, also owned by the CBA. These disasters have been the results but what of the symptoms? In the last week of August, corporate watchdog the Australian Securities and Investments Commission admitted that its so-called RG146 guidelines which set the educational qualifications of financial planners (or advisers) are inadequate, and that financial planners should be university degree qualified, not just holders of a Diploma of Financial Planning qualification. At the recent Senate inquiry into the CBA and Financial Wisdom financial planning debacle, ASIC chairman Greg Medcraft expressed surprise that only one in five Australians sought financial planning advice. I'd probably agree in one way given the pressure the banks put on customers to consult with their financial planners; in another, I'm not surprised at all given their history of just plain poor advice. 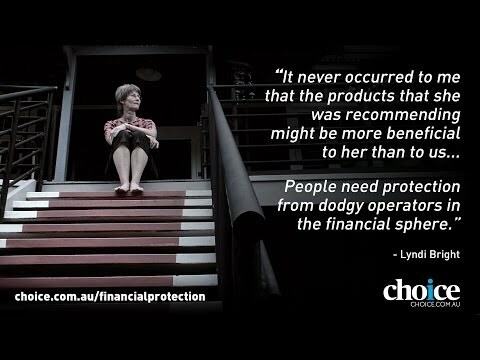 As I see it, relatively unqualified people dealing with people's hard-earned nest eggs is one gigantic problem - particularly as planners from CBA, Financial Wisdom, Storm Financial and the many mini-Storms around the place have proven that they are susceptible to promoting easy-sell packages to clients, often involving a cocktail of debt secured against their properties and managed funds. But I suspect another gigantic problem is the vertically integrated model where advisers work for the same organisation that creates financial products. Think inhouse advisers at CBA and the other banks - and the big insurance companies - that tie "independent" financial planners to them with what are commonly called golden hand cuffs, financial incentives. I'm sure it is not just me that fears this sort of model may encourage conflicts of interest. There are two associations of financial planners in Australia. 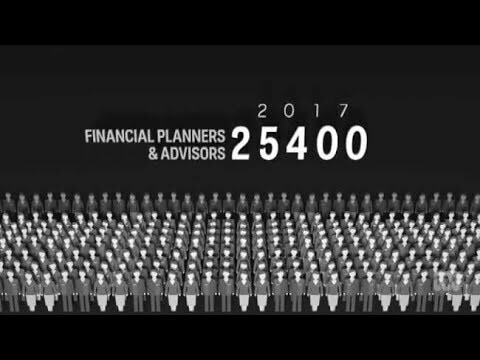 The vast majority belong to the Financial Planning Association. The other is called the Association of Independently Owned Financial Professionals. Both purport to support improved qualifications for financial planners. Good. The difference in their respective attitudes to vertically integrated financial planning organisations seems to me to be implicit in their names.